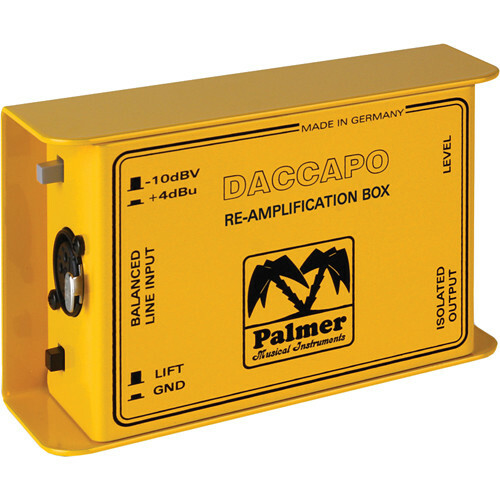 The Re-Amplification Box from Palmer allows for a recorded direct signal to be played back and sent to a guitar amplifier so it can then be recorded by a microphone. This process allows a recording engineer to experiment with the amplifications of the instrument's sound. The Re-Amplification Box works to match the impedance levels of both recordings and uses a transformer to eliminate the ground loop hum. The device features a volume control for adjusting the signal level. Box Dimensions (LxWxH) 5.6 x 3.5 x 2.1"